CINCINNATI, OH - Consumers are taking bites out of plant-based proteins with zeal these days, with carnivores, omnivores, and vegetarians/vegans all getting in on the popular trend. For its fourth Natural Foods Innovation Summit, in partnership with 84.51°, Kroger is tapping the genius behind growing plant-based protein brand Beyond Meat®, announcing the brand’s Executive Chairman and Co-Founder of Honest Tea, Seth Goldman, will participate in the summit’s keynote. "It's been one year since Kroger launched our Natural Foods Innovation Summit," said Robert Clark, Kroger's Senior Vice President of Merchandising, according to a press release. 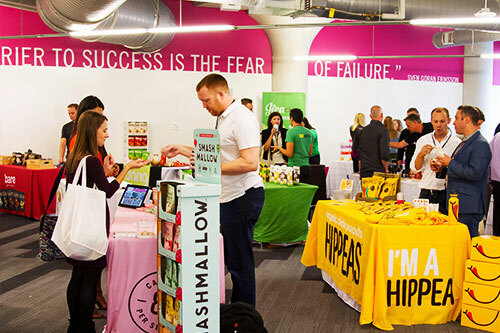 "The interactive model has proven to be successful, creating a new channel for enterprising small businesses and startups to engage Kroger, America's largest grocery retailer, with innovative ideas and products for our customers." At this year’s keynote event, Goldman will touch on the importance of sustainability in the food industry and share best practices for operating a mission-driven company. The summit will also consist of the participation of nearly 60 brands. Since the summit’s inception, Kroger has engaged with over 200 different small businesses and counting. Kroger recently announced its top food trend predictions for 2019, predicting a variety of plant-based alternatives and flexible eating styles will continue on the rise across food fads. How will the growing popularity of plant-based alternatives positively impact the pillar of grocery—fresh fruit and veg? AndNowUKnow will continue to report on the freshest grocery news.